Being quiet a long drive from the Charente to the ferry port at Cherbourg (600km), we decided to split it by spending a few days at the sea. So I trawled the internet to find a suitable location. As sure as hell, once a year I have to fall into some marketing trap. 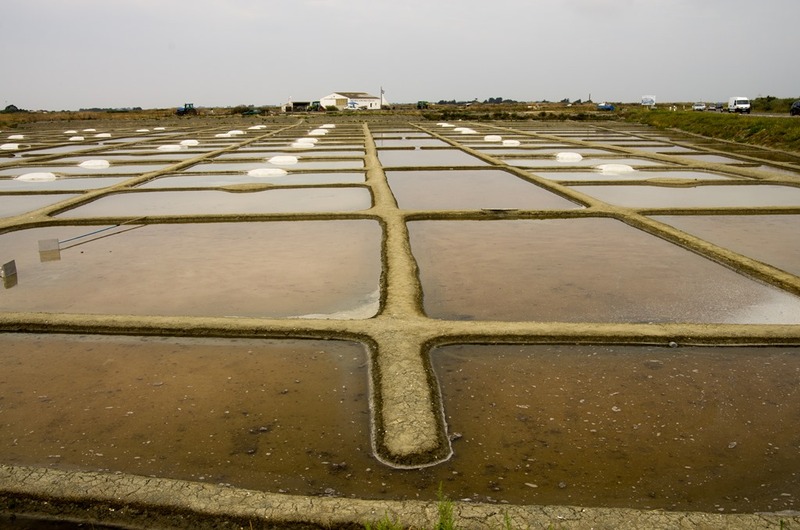 Words like: “The forgotten gem, pearl of the Atlantic, secret seaside and devoid of tourists” made me gravitate towards the Île de Noirmoutier. So we load up the boat, get everything to a roadworthy state and drive 300 km to La Guérinière on said island. A campsite had been pre-booked. Its name will not be disclosed. It is so dire, that it doesn’t even deserve to be mentioned as a warning. And so it begins. The actual drive is swift and without problems, until we get near the bridge that connects the island with the mainland. Already at a distance of 20 km all the roads and the villages are chockablock with cars. So them last 20 km take another hour. This should be a warning, but “devoid of tourists” was promised, so sure they all want to get somewhere else. At least its “secret”, so nobody can know, right? Wrong! Within the first 30 minutes on the island we have seen more people than in the last three weeks. 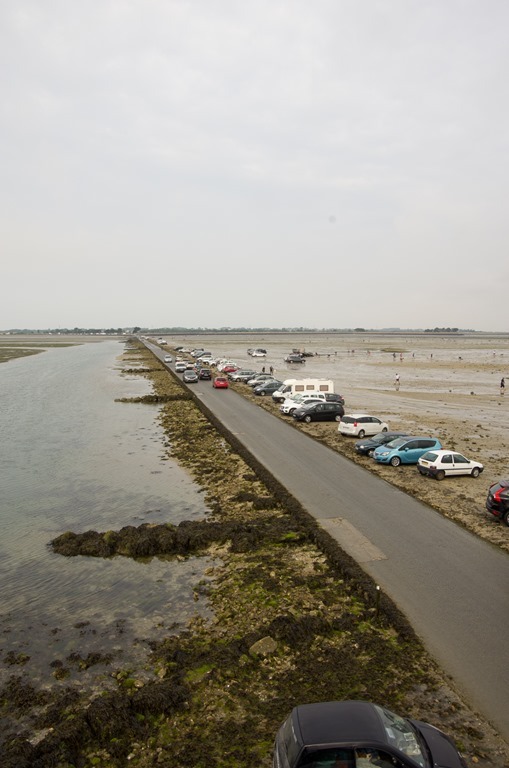 We find the campsite, pitch up and decide to drive to the town of Noirmoutier itself. You would expect the Stones would be playing here tonight. But enough of it, I fell to it, my fault, just don’t say I haven’t warned you. But also there are some nice things about Noirmoutier . Nice boats. Nice mud with cars on it. 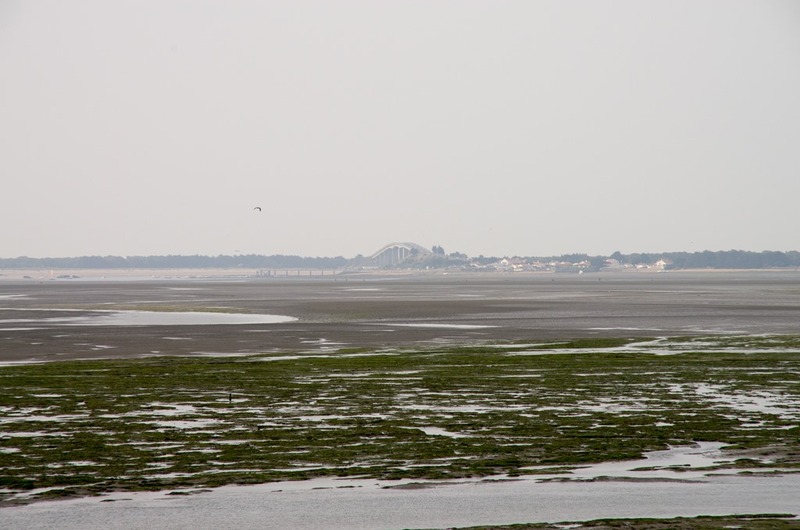 This actually is the Le Gois. A road that gets submerged at every high tide. It was the only access to the island until this bridge was built in the 1970s. Today the Gois gives peolpe the chance to take the car, when you want to do peche a pied. Like taking the car to the fitness centre. They seem to like it flat around here. 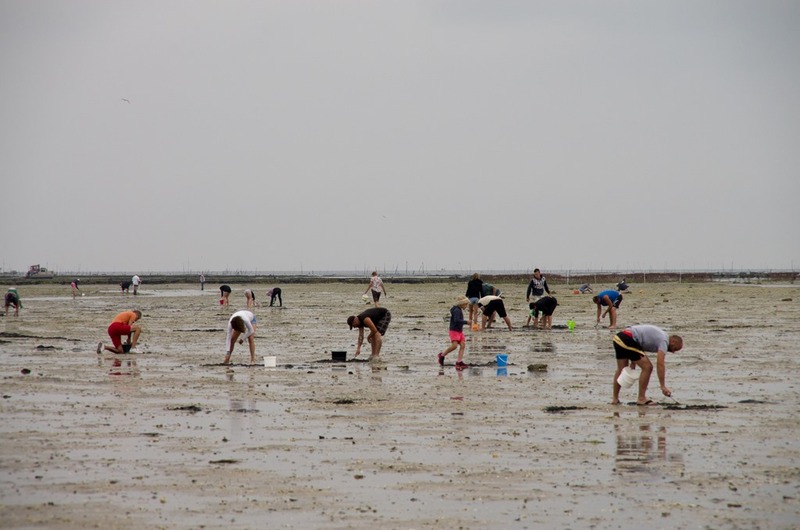 So when the tide comes in and they have to take a break from chasing crustacean, they revert to harvesting salt. Needless to say, that full-moon harvested, vegan, gluten and sodium free fleur de sel is offered at every corner at special tourist prices. But at least the staff at sel-ton-char were very friendly and squeezed us into their already full schedule. Thus the lad had his first go on land yachting. And very well he did. From here all that is left, is the usual drive to Cherbourg, the ferry to Rosslare and the last leg home. Thanks for staying with my ramblings. There might be a few updates until summer and then it will be back to France again. 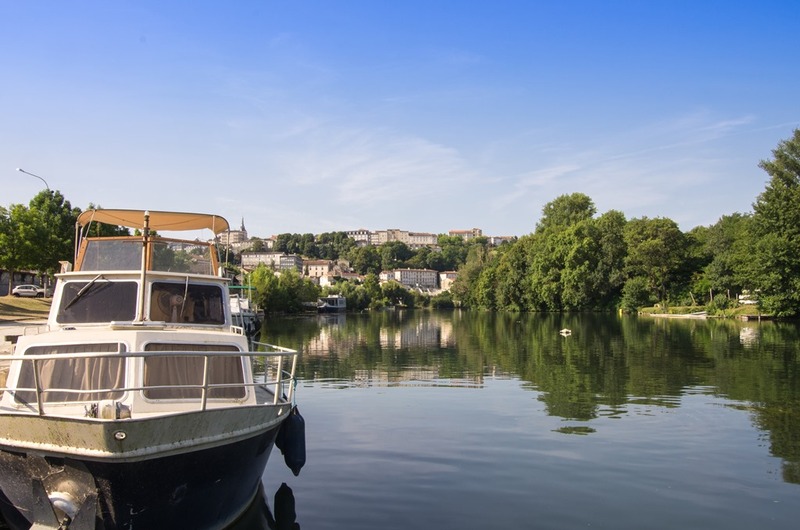 This time most likely on the Saône. In the meantime, please leave a comment if you like the blog or if you have any questions. Today is our last cruising day for this holiday. The plan is to explore Angoulême. It will fail miserably. 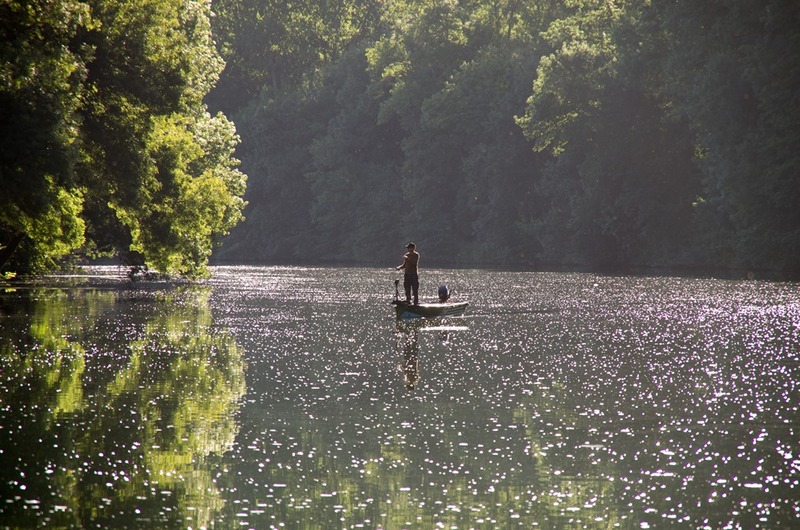 We set of reasonably early from Basseau, which is just as well, as the upper reaches of the Charente have hardly seen a weed cutter this year. Going is quiet tough and the propeller has to be cleaned multiple times. 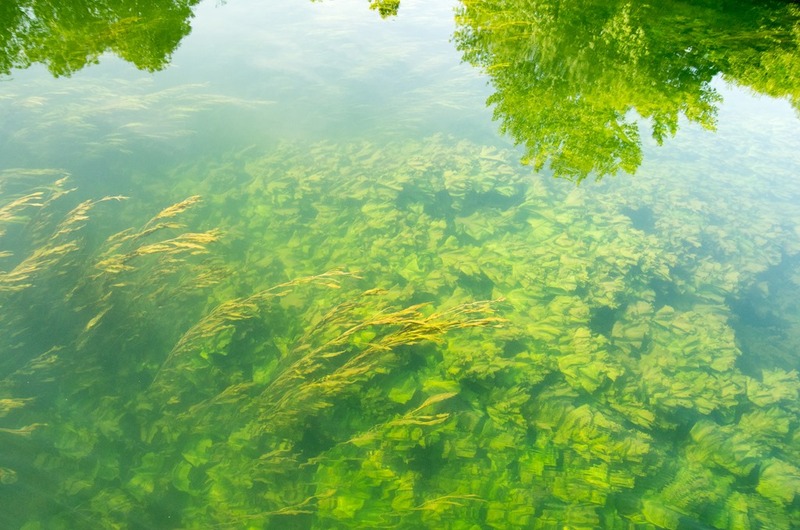 To make things even worse, there is some sort of underwater plant, that actually stings. With the IO positioned at the bow, we drive in slaloms around the worst patches and thus make some headway. 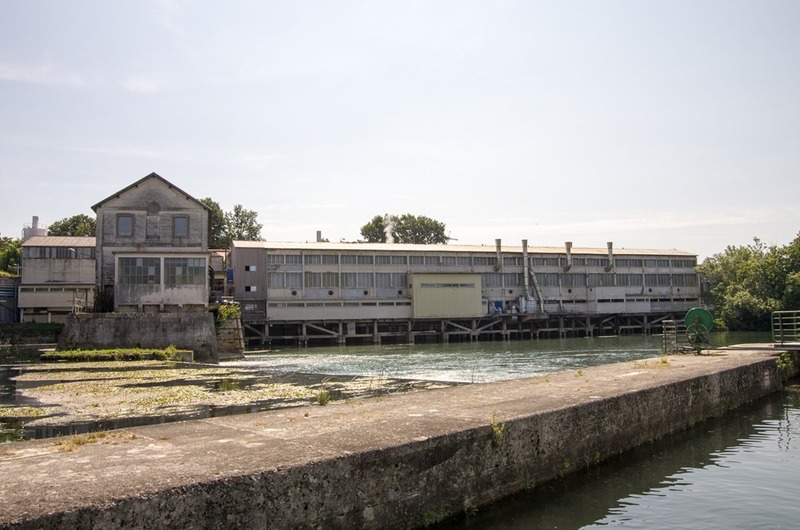 At arrival at Angoulême, the quay seems to be totally deserted with only some long abandoned boats clinging on. Today is assumption day, some virgin Mary celebration. Nobody celebrates Joseph, being the biggest looser in the whole bible, believing the chick got pregnant with no other bloke involved…. As you would expect in other countries , people would be out and about on a bank holiday, but here the whole place is without a living soul. Nobody walking, a car maybe every 5 minutes. The city being 3 km away, all up a steep hill, we wait for the bus. The bus does a no show. Thus we weigh our options. 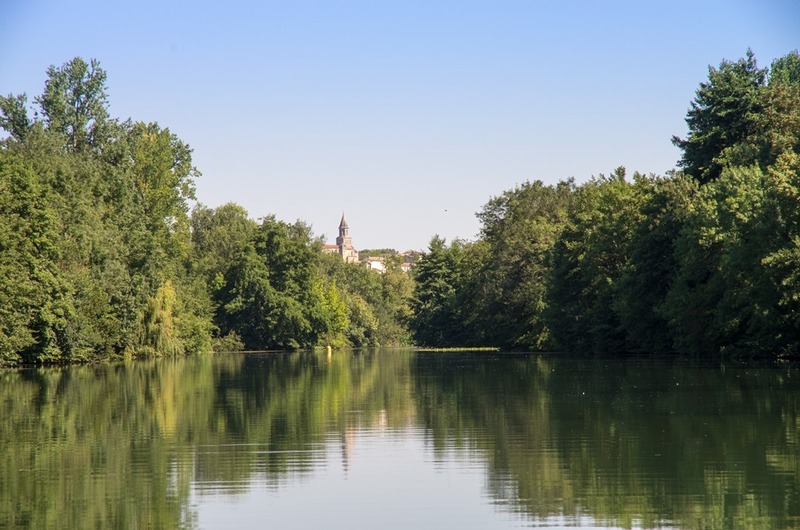 If the old town is equally empty and deserted, there is hardly any point climbing up by foot at almost 40° C. We decide to show Angoulême an equally cold shoulder as it does to us, and rather spend the day on and in the river. We had spotted an inviting little island with a sandy beach yesterday. So that is what we are heading for, struggling through the same weed we experienced on the way up. We while the day away quiet lazily, swimming, sunbathing, sleeping. 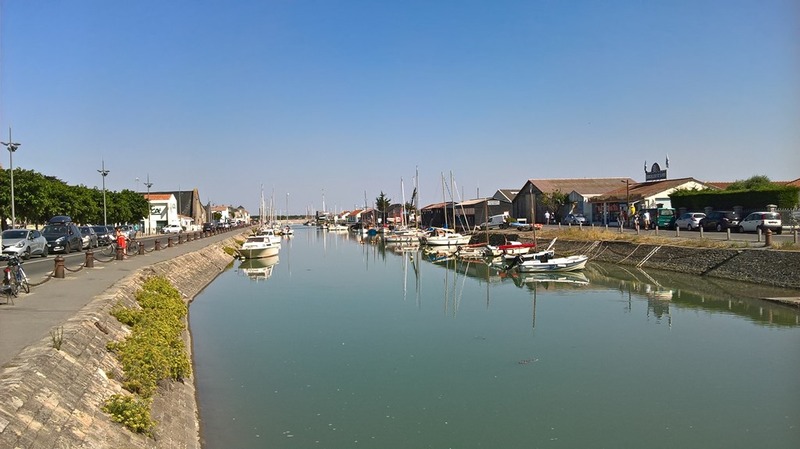 In the late afternoon we return to base at Port de Sireuil. 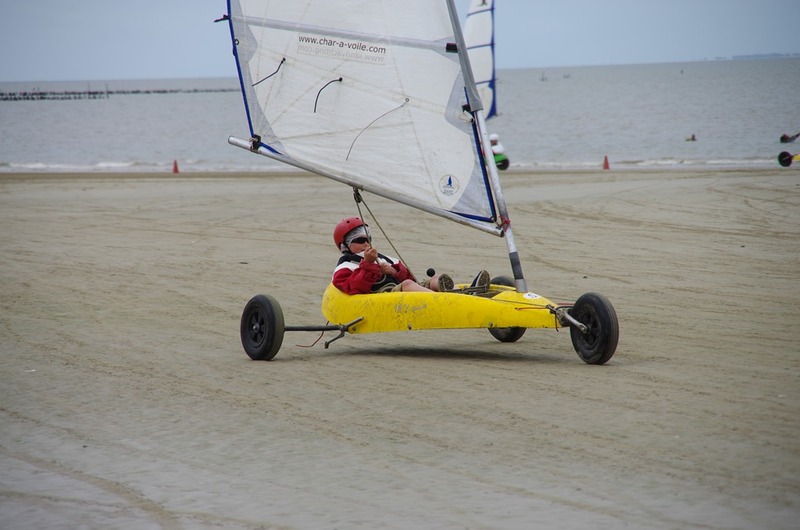 That gives the lad a chance to get even more adventurous with his water sports. We also meet Jim the opal digger again, giving us an excuse for a bit of boozing. Quiet night, getting prepared for the 1st leg of our homeward journey. As you might have noticed, our daily mileage has taken quiet a slump. This is partly down to the total holiday mode we have fallen in, partly the even hotter weather and also to a bit of pessimistic planning. 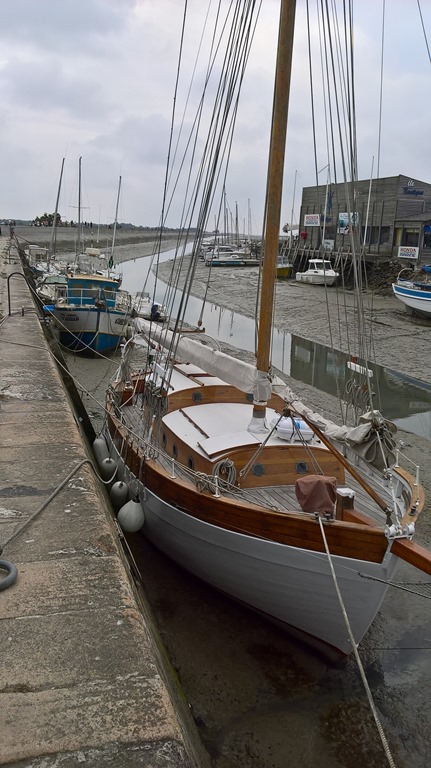 I had assumed we would need more time to cover the Charente, and at the same time didn’t want to take the risk to go onto the tidal stretch. 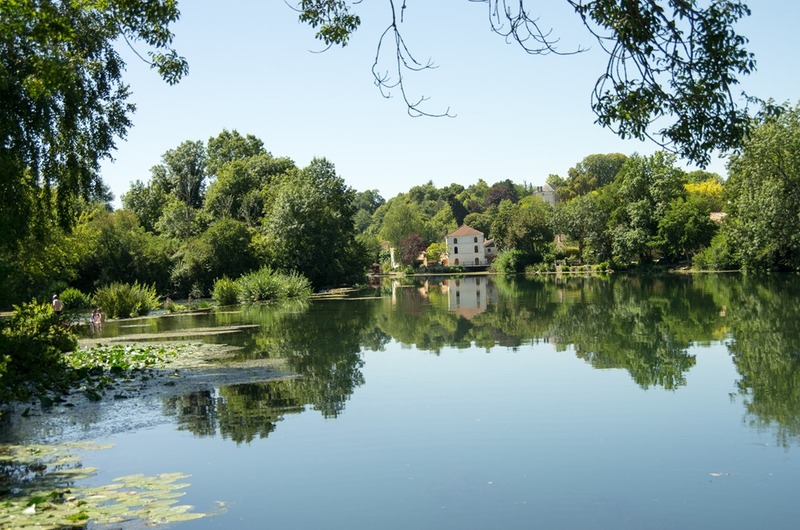 But nonetheless we spend another great day on the Charente. Also being Sunday, the boulangerie at Châteauneuf-sur-Charente is open, and once the queue reaching well out onto the street is beaten, fresh bread is obtained. So a leisurely jaunt upriver continues. We stop at every weir and lock island along the way, so the lad can exercise his new found love for everything water. This multi-stop-strategy helps to slow us down even further. The lock island at St-Simeux is particularly nice and demands an even longer break. 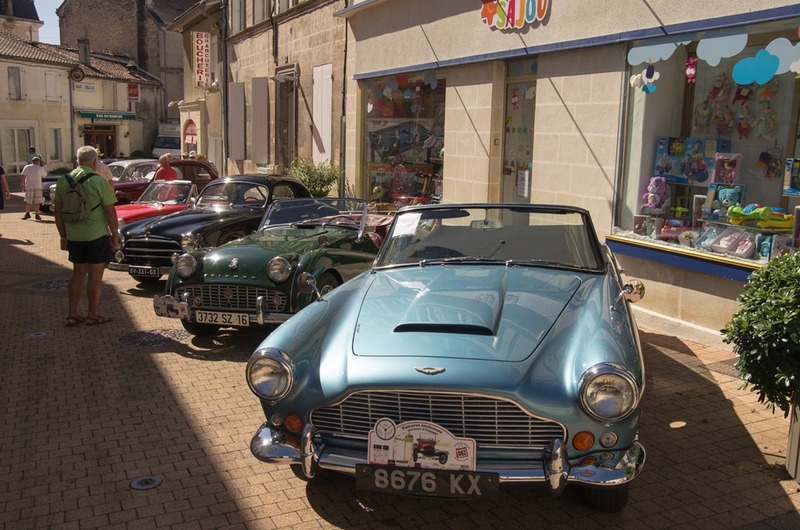 We also stop at La Sireuil to check on car and trailer and to buy an ice cream. Here we meet Jim, an opal miner from Australia together with his girl friend. He gives the lad a black opal. The lad, being a proud collector of everything shiny is totally delighted and is convinced, that Aussies are the greatest people in the world. 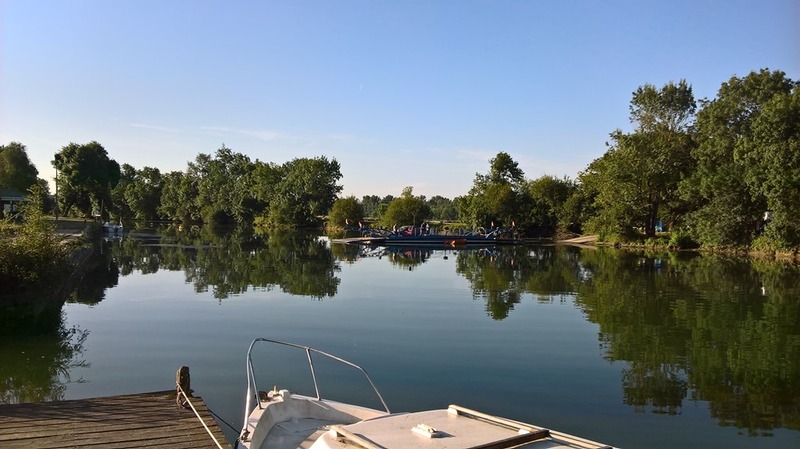 This is what always amazes me on the waterways where ever you go: The chances and opportunities to meet so many people from all walks of life, which you would hardly get into contact anywhere else. 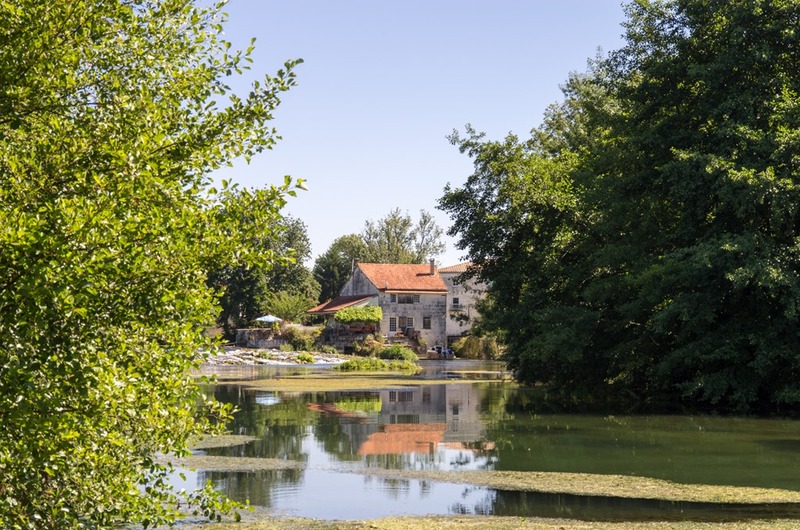 But after the ice for long drinks is depleted, we wave farewell and move on to Basseau, in order to make a dash tomorrow morning for Angoulême, the capital of the department Charente. 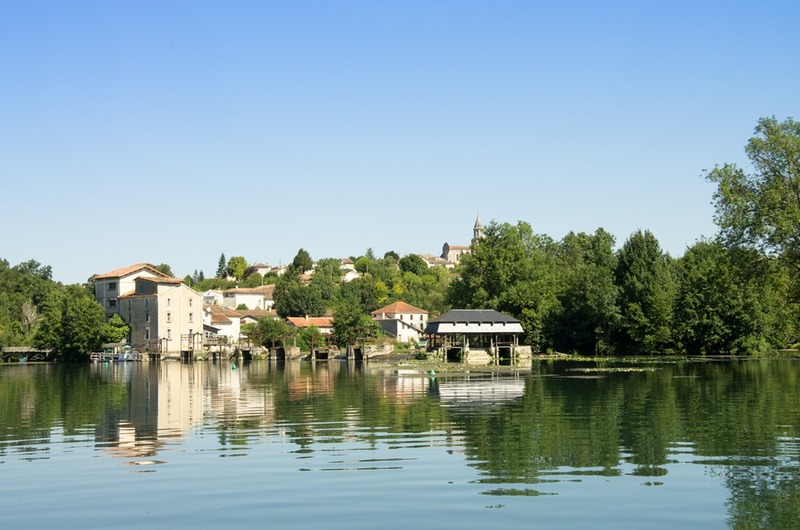 Being moored in the middle of nowhere, we decide to motor into Jarnac in order to secure breakfast there. Lovely morning, with the promise of being an even hotter day. Twenty minutes later sees us in Jarnac. 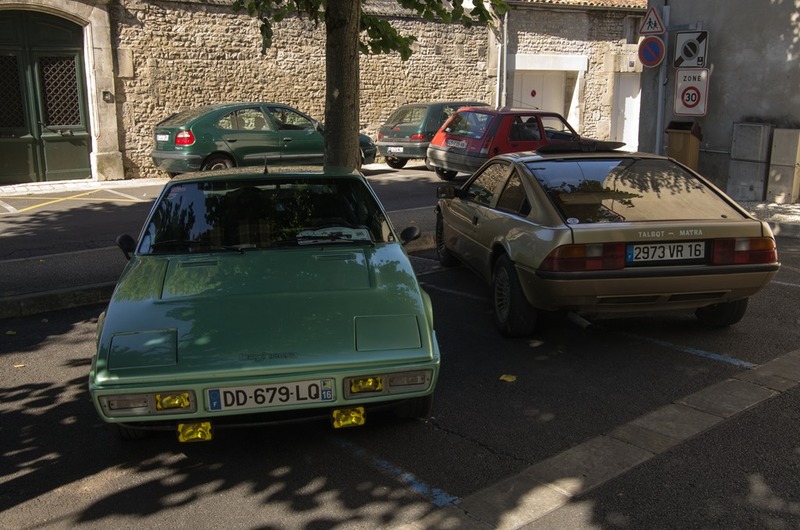 On the way to the boulangerie I notice, that local vintage car club is setting up his monthly exhibition / gathering. We rush the breakfast and return to town, to join the crowds. 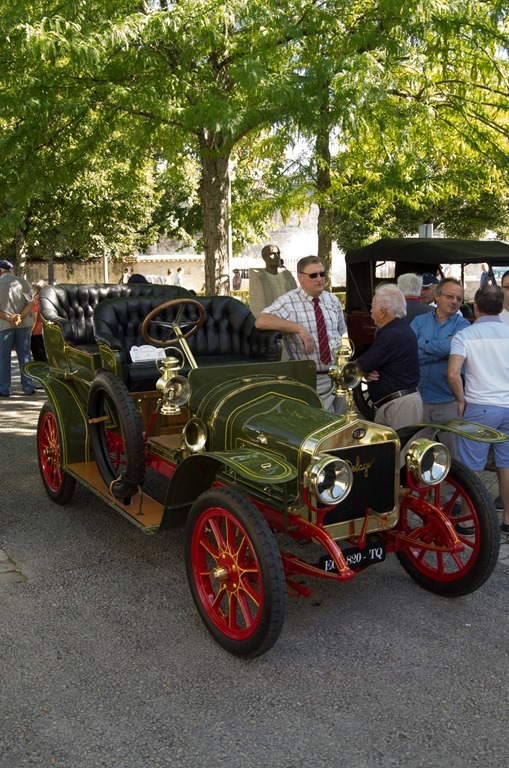 We learn that once a month enthusiasts from near and far come together to present their precious vehicles in the centre of Jarnac’s old town. And what a lovely setting that is, rather than some soulless parking lot in an industrial estate. And there also seems to be some trading going on, with quiet a few vehicle being up for sale. Good job I tend to waste all my money on boats, or I might have come back with something old and exotic. The cars on display cover almost the whole history of automobiles from the early 1900 till the 1980. And cars from at least most European countries. We spend most of the afternoon at the weir of nearby Gondeville. This a really delightful setting for a hot summers day. A lovely clear pool below the weir, a canoe slide, which can be abused for a bit of fun, all in a delightful leafy setting. Unfortunately I am so delighted, that I forget to take any pictures. As the afternoon draws on the place suddenly gets packed with weekenders and we continue our travels upstream. 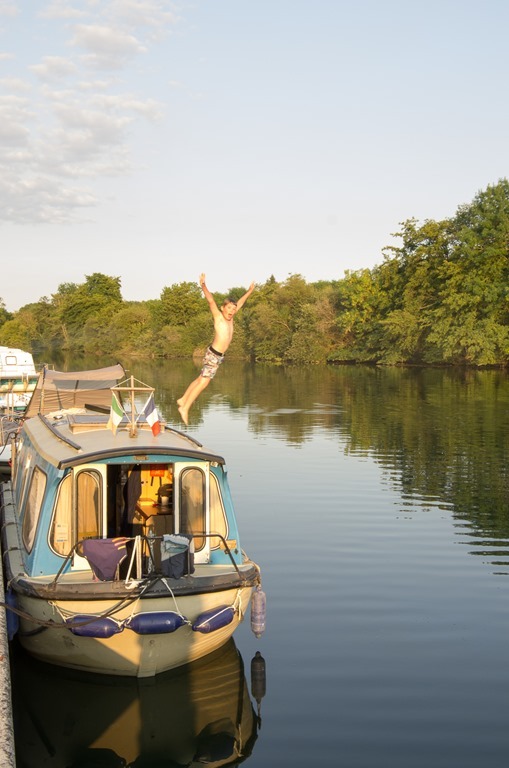 Again we end up mooring at Châteauneuf-sur-Charente for the night. We meet two lovely couples from Vienna and share several bottles of red and quiet a bit of Whiskey. A lovely evening. Sharp at 7 a.m. a particularly noisy tractor seems to cross the river only meters from ARGO’s bow. This creates a slight confusion. A checking glance shows that the car ferry is driven by a diesel engine, with no sound proofing, and a broken silencer. So the night is officially over. At least the baker in Chaniers has been busy already, so fresh bread is secured. Early up is no harm though, as the day is going to be another scorcher with temperatures close to 40°. Thus swimming lessons start early today. First stop today is the E.Leclerc at Cognac. One can find a bank mooring, tying to some trees between Pont de la Rocade and Pont de Crouin. The supermarket with filling station is just behind another row of trees. The ideal place for stocking up on food and fuel, as the bounty can be wheeled by trolley within meters of the boat. 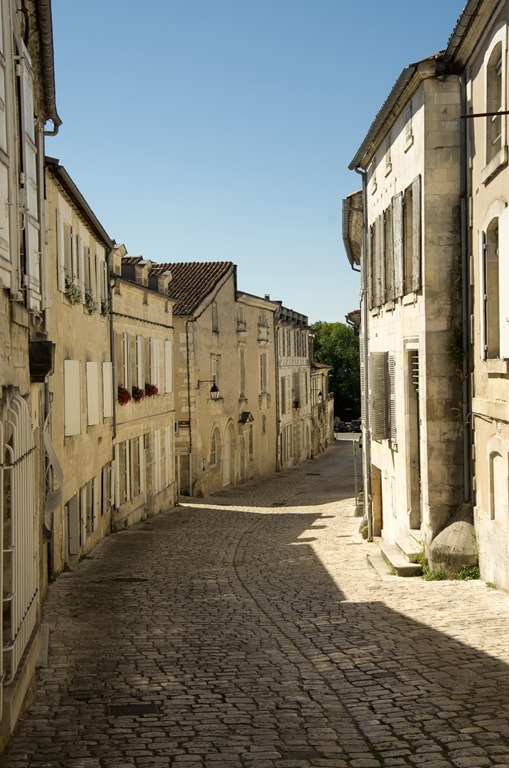 Then its time to explore the town of Cognac itself. 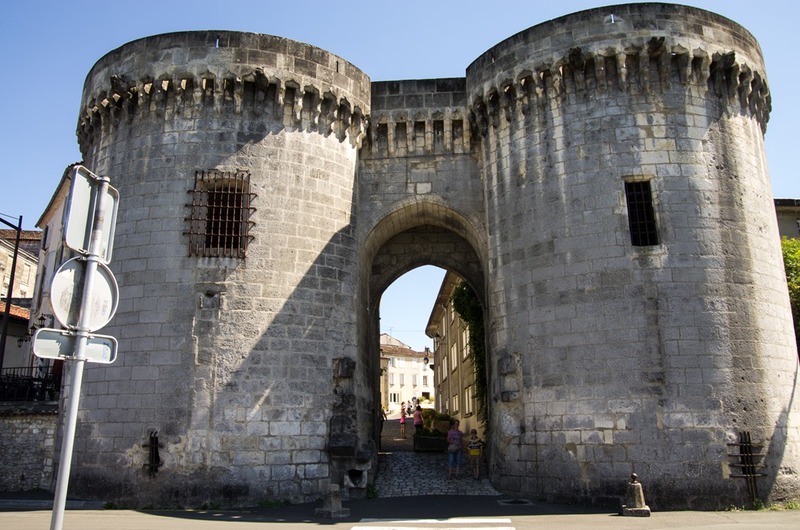 The castle gate leads into the old town. From the castle itself, there isn’t much left other than the gate. 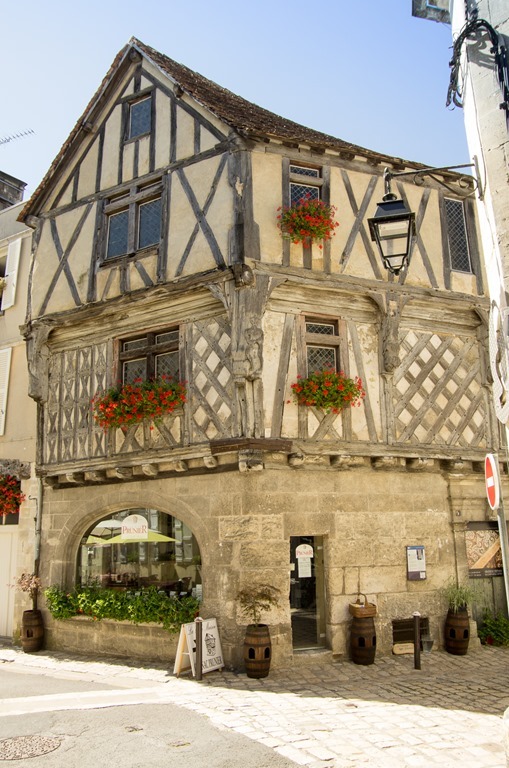 The town comprises plenty of narrow lanes and beautifully restored old houses. Culturally Cognac seems to be a bit of a one trick pony. Everything is geared towards marketing the drink. As we had our dose of that already, there is no reason to linger. Heading upriver we spend time swimming, reading sun bathing in a real holiday fashion. 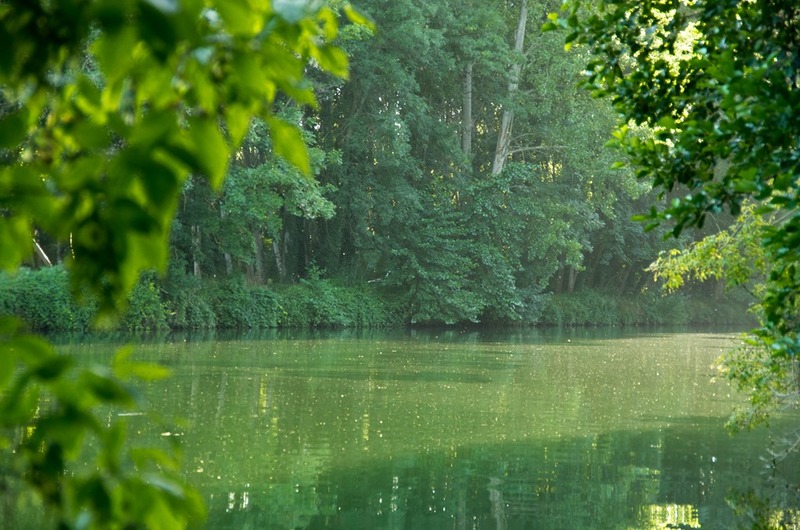 In time we find a leafy wild mooring Just past ecluse Bourg-Charente. Having a quiet evening in the shade.